Today is Day 484 of My vegan journey. It was very confusing at first, but now that we’ve been into it awhile it’s getting quite easy and very delicious! The first few weeks were very very confusing as we wondered, “OMG, what can we eat?” Having been raised in a world where meat forms the foundation of every meal and vegetables serve simply as ornaments, a shift to complete veganism can be perplexing. But then, magically, almost overnight it dawned on us that everything but meat is something we can eat!! I run faster and farther and recover quicker, I’m leaner, and my medical lab results mirror those of a person 20 years my junior. Stay tuned for further updates on my vegan journey! p.s. 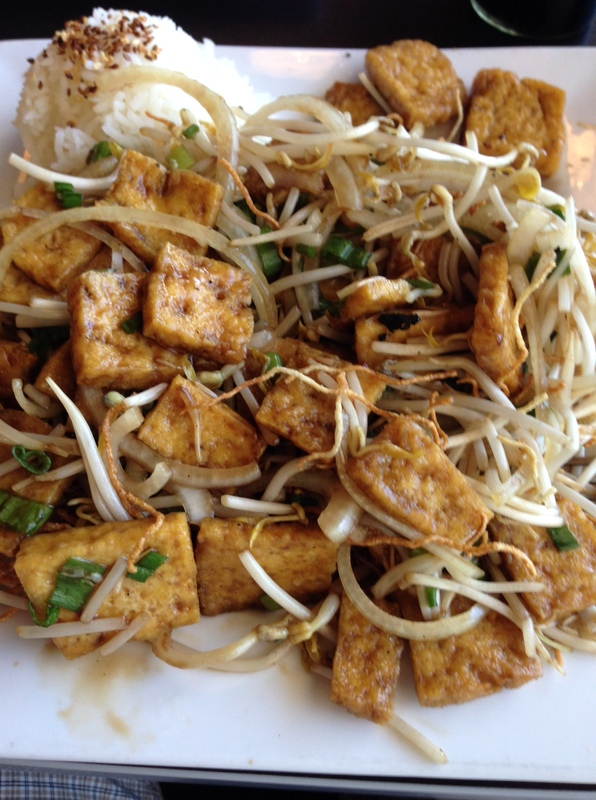 F. or those of you who are curious, the meal above is spicy tofu with bean sprouts on a bed of fried rice noodles! !